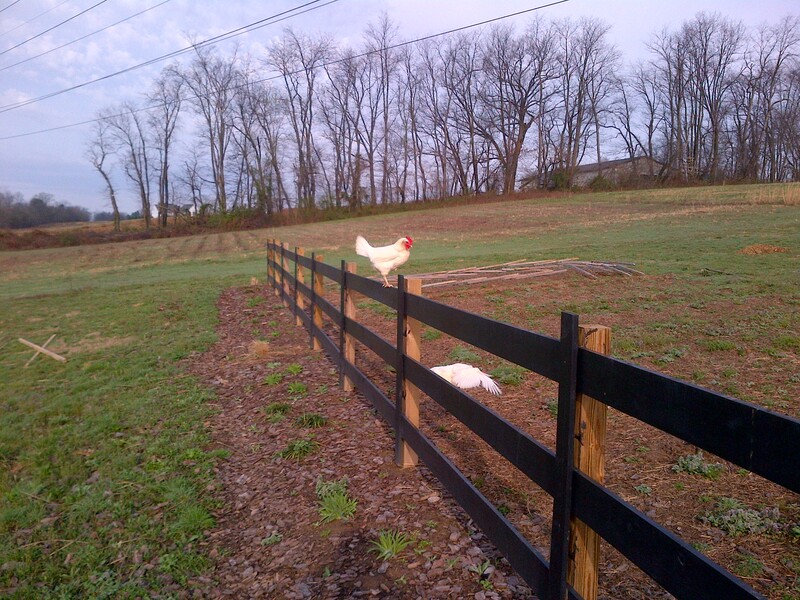 If everything goes to plan – Sunday will be the day the garden gets planted. So this week we are trying to get as many projects finished up before our focus turns to the garden. All of our ornamental grass transplants from early spring are up and doing well – in fact, of the more than 100 grass transplants we divided and planted – all but one has come up! 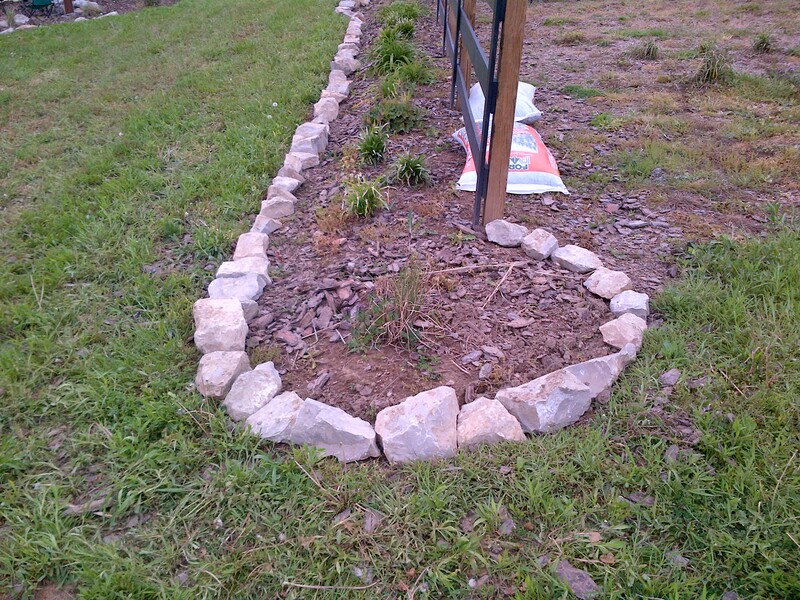 So now is time to get the beds shaped in with stone and get everything mulched. 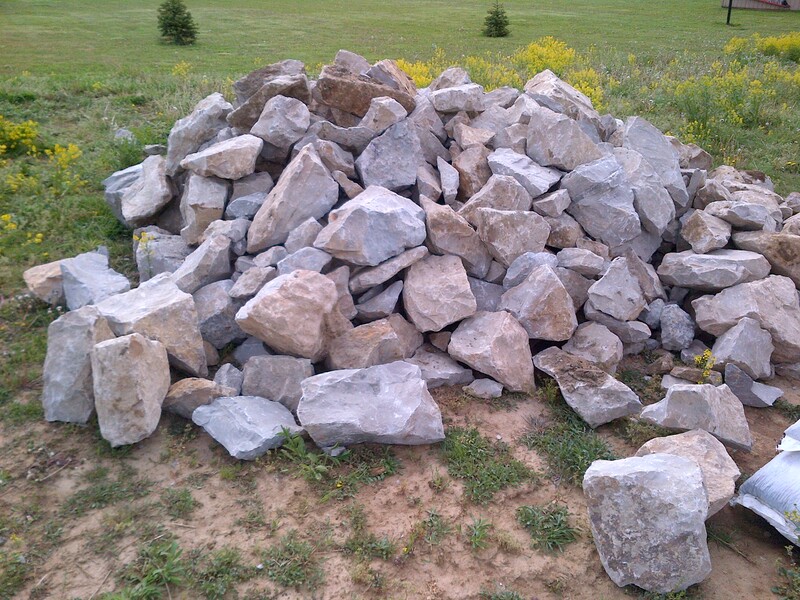 That means finally moving the 20 tons of native rock and boulders we had delivered a few weeks back into place. 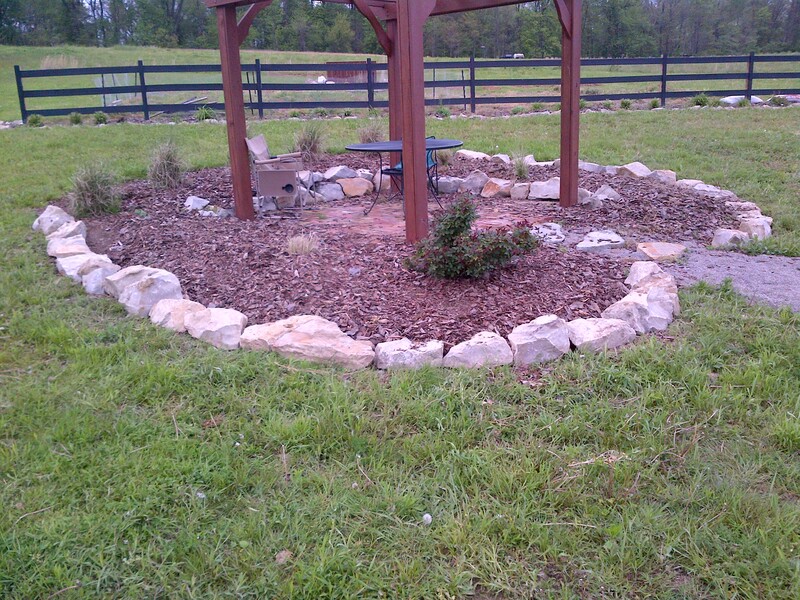 We decided to use the smaller pieces of the rock and stone to edge the flowerbed areas – and use the large 100 to 300 pound boulders in the back of the barn to build the retaining wall for the back flowerbed and outdoor kitchen area. 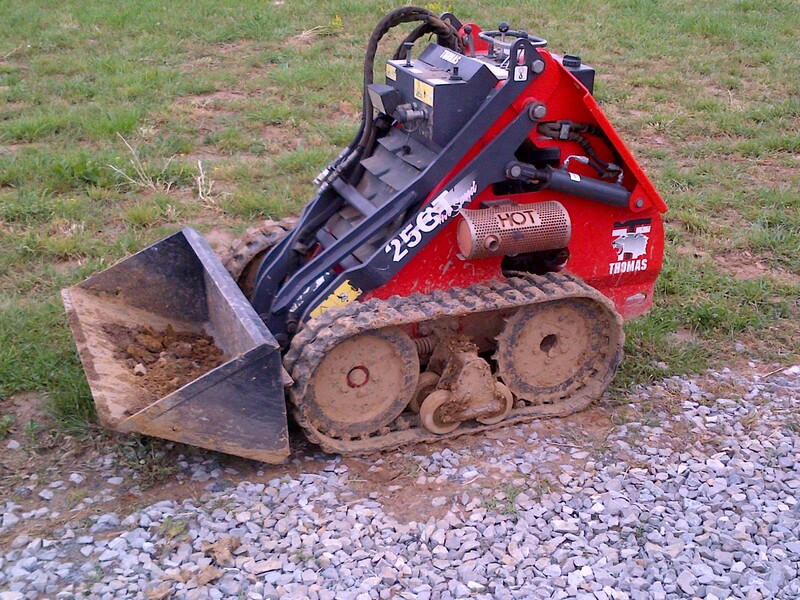 One of the most useful landscaping tools I have ever used – a rented stand up loader – lots of power and fits in tight spaces – made the day A LOT easier!!! Our hope is that as all of the grasses and landscape plants mature and fill in around and over the stonework – it will look as though it’s all been there forever. 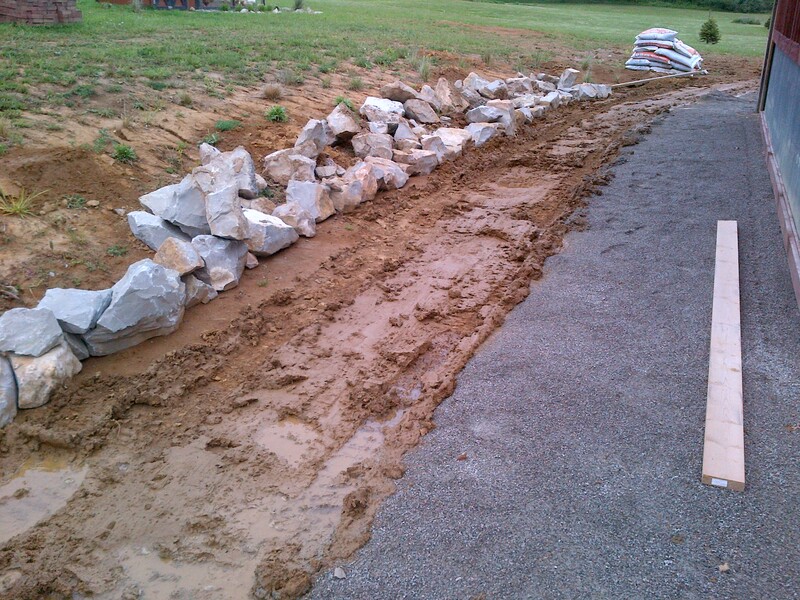 So with the help of a really cool stand up loader (pictured to the left) – we put all of the rocks in place Tuesday. Here are the photos from what was one long and heavy – but very rewarding day of work! I have to say I think it will much less backbreaking to be planting our garden. 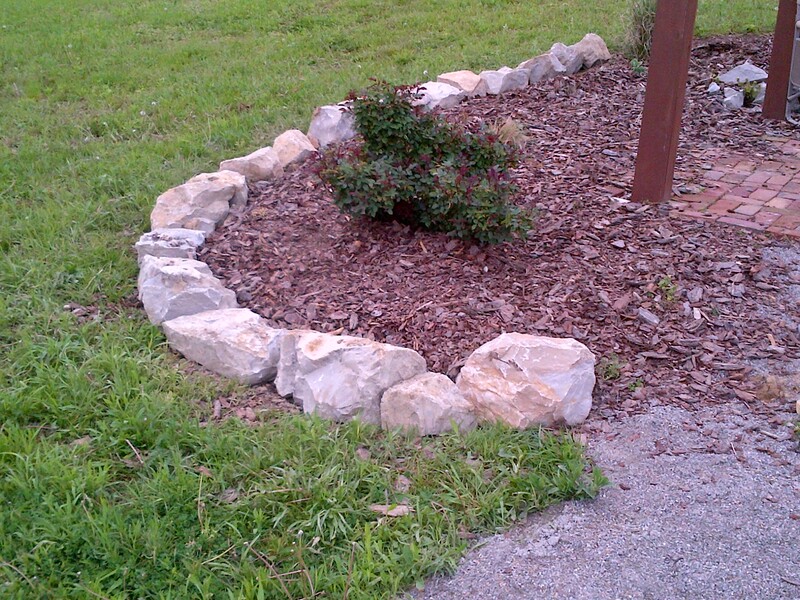 Large boulders for back retaining wall – first course is set – the others we piled behind so they are close when we build wall – still have to put in drain tile as well. 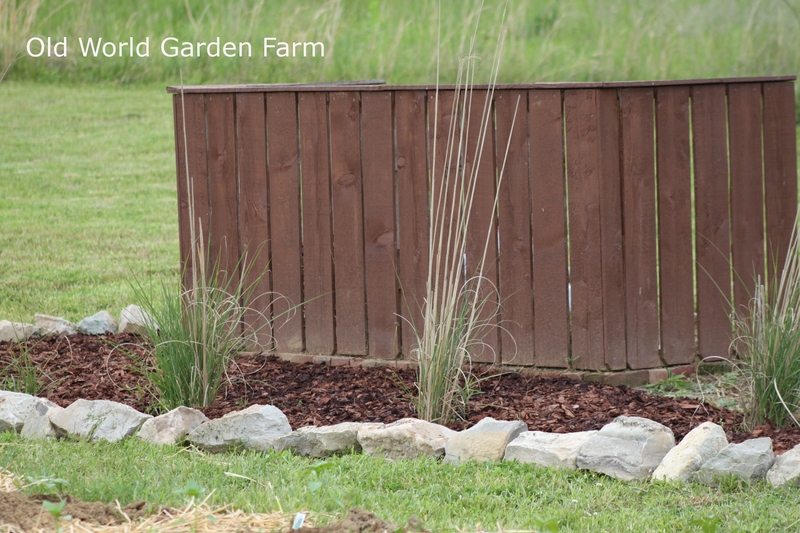 Compost Bins made from recycled pallets – stained, landscaped, and ready for the garden season!